Will scientific advancements in treating aging let our children eventually live forever? If living forever isn’t enough motivation to get scientists to study longevity, maybe $3.8 million will work instead. That’s the current size of the Mprize, a special fund put forth by the Methuselah Foundation that seeks to encourage research into extending healthy human life. The prize is awarded to those scientists who can increase the lifespan of lab mice in the hopes that work performed on that species can be readily applied to humans. Can we live longer? Do we even want to? When will the average human life expectancy start to increase by more than a year each year? The Methuselah Foundation’s answers are yes, yes, and much sooner than you might think. Check out Aubrey De Grey’s discussion of longevity at TED 2005 in the video after the break. He’s very enthusiastic to say the least. The history of offering a cash prize to help motivate research has a long and successful history. Mariners were finally able to determine their longitude at sea thanks to the aptly named Longitude Prize offered by the British government. Lindbergh’s transatlantic flight was in direct response to the Orteig prize. The modern day Xprize is inspiring new achievements in genomics, space flight, lunar exploration, and transportation efficiency. With the Mprize, the Methuselah Foundation may very well bring about a surge in the interest in increasing human lifespans within the next generation. As Aubrey De Grey points out, once human lifespans start increasing by an appreciable amount, further medical developments will occur during that lifespan increasing it even farther. We could eventually reach a sort of lifespan escape velocity and reach immortality. De Grey has since coined the concept as the Methuselarity. Catchy, huh? The Mprize is divided into two awards for those researchers who can increase the lifespan of mice. A Longevity prize is offered to the producer of a mouse that beats the current lifespan record. The mouse has to be healthy, and the size of the prize is in proportion to the amount by which you beat the old record. The Rejuvenation prize seeks to improve the life of mice already in middle age. This encourages research into life extension that could be applied to humans already living. The current winners are (Longevity) Andrzej Bartke who used a genetic treatment to get a mouse to live for 1819 days, and (Rejuvenation) Steve Spindler who used caloric restriction started at 19 months to get 6 mice to live an average of 1356 days. Most of the mice used in these tests would normally live for about 3 years (~1100 days) in a lab environment. Caloric Restriction should sound familiar. Resveratrol, the substance found in red wine that we discussed previously is hoped to function as a substitute for CR. In fact, one of the early researchers into resveratrol, David Sinclair, is a current competitor for the Mprize. Which brings up an important and wonderful aspect of the structure of the Mprize: it keeps giving. Each award is proportional to the level of success and the size of the fund. Every time a prize is awarded, only part of the fund is consumed. Donations bring the fund back up over time. This encourages further research into the field. While a single researcher could discover a miraculous cure for aging, no single researcher will ever ‘break the bank’ of the fund. It’s a cool idea, shared by other such prizes, and if you’d like to donate to the fund, you can do so on the Methuselah Foundation website. Of course, another way that the Mprize keeps giving is based on a large, but likely true, assumption: increases in lifespan will continue at a somewhat regular pace due to continuing research in the field. For the past 20 decades or so, the average human life expectancy has increased by an average rate of about 1-2 years per decade. There’s some significant cultural and regional variation, but as a rule, 1 year per decade seems to work out. That means, and this is a gross simplification, that if you manage to extend someone’s life by 10 years, you are actually extending it for 11 or 12 because of the increased opportunities they will have for better healthcare. The Methuselah Foundation, Mprize, and other longevity research in general is aimed at slowly bringing up that rate of increase in life expectancy. The hope is that eventually, lifespan increases will start to work something like compound interest. Growth leads to further growth. While Aubrey De Grey highlights what he believes are the seven major causes of aging, the solutions may be much more numerous. There are more than a dozen major competitors for the Mprize, and you can review their approaches to the problem of aging on the Methuselah Foundation website. MPrize competitors can also teach us about the benefits of simply living a healthy lifestyle. Rules for the competition were altered slightly after Sandy Keith won the award by helping the mouse Charlie live for 1551 simply through good animal husbandry. Just taking good care of a mouse isn’t a ‘treatment’ and so it no longer qualifies for the Mprize but it does have parallels in humans. Look at those people who live long healthy lives in the Blue Zones, or extraordinary individuals like Gertrude Baines who lived to 115 without any longevity treatments. 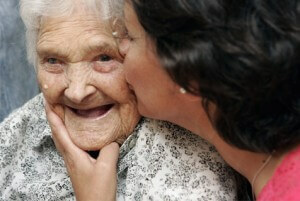 Some level of life extension can be achieved by healthy living and heaping doses of luck. Whether or not the Methuselah Foundation is helping humans reach immortality, it has already furthered research into some level of life extension. Whether or not you agree with Aubrey de Grey’s predictions, he does raise some interesting questions. He also dresses like some sort of longevity seeking wizard…which you have to admit is kind of cool. The quest to live healthier for longer is bound to continue and while I’m not sure if the first immortal will be born in my lifetime, I do think our grandchildren will live longer than our grandparents would have believed possible. 100..150…200 years? It might be possible if scientists keep their eyes on the prize.